This elegant piece of handcrafted bedroom furniture is made from solid Indonesian mahogany and exquisite mahogany veneers from managed forests where timber is grown specifically for furniture production. The classic design is enhanced by the high gloss finish and the deep patina of the wood. 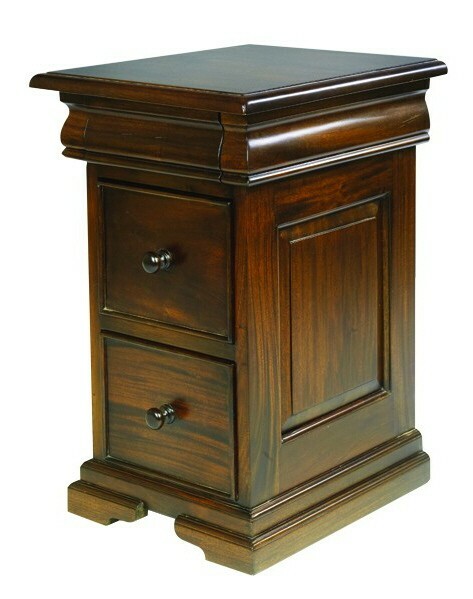 Gently bowed fronts on all chests of drawers add to the elegance and sophistication of the range. The graceful sleigh bed, available with both low and high foot end, combines with the other pieces to form a range that is at once traditional and chic.